AV Cancer Center’s new location is in a medical office building directly attached to the Palmdale Regional Medical Center. The new office opens on June 10. 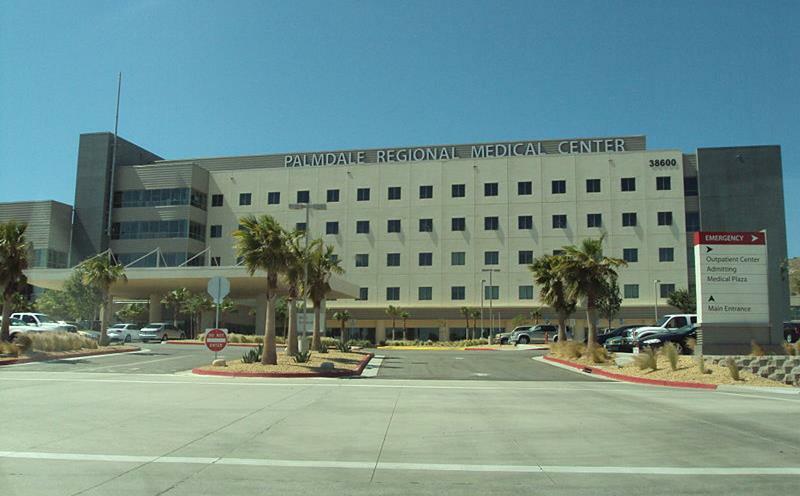 PALMDALE – The Antelope Valley Cancer Center is expanding its medical treatment facilities to a new location at 38660 Medical Center Drive in Palmdale. “Our new location right at the Palmdale Regional Medical Center close to the 14 Freeway will provide easier transportation convenience for our patients and their families,” said Dr. Mukund Shah of the Antelope Valley Cancer Center. The AV Cancer Center’s new office will be opening on Monday, June 10. It is located in Suite A-380 in a medical office building directly attached to the Palmdale Regional Medical Center. The AV Cancer Center will be maintaining a presence at its original location on 15th Street West in Lancaster for patient care and radiation treatment services. In addition, the AV Cancer Center has had a South Kern County regional facility in Ridgecrest since 1986. 7 comments for "AV Cancer Center expanding to Palmdale"
I am sorry that the Cancer Center is leaving Lancaster. It along with the new City of Hope facility near AV Hospital would have concentrated cancer care in one location (Lancaster), but people have to do what they have to do. Palmdale Hospital, by the way, is a for-profit hospital, so I suppose if the one uses their facility through the cancer center, they will pay plenty. I don’t know if the City of Hope will be any cheaper. They had a cancer group merge with them and I guess if they are (the group) for profit, too. Cancer care is not cheap because of the high prices drugs and radiation treatment. I hope the American Cancer Society unit in the AV publicizes the different alternatives for patients, so they can, at least, price shop their care. The center is not leaving Lancaster, it is just expanding to Palmdale. It will be an extension, just like they have in Ridgecrest. Another victory for big pharmaceuticals! That or spend money to end up dead and next of kin poor and in debt. Big thumbs up. This is important to cancer victims and their families. This is great, one less reason to travel to Rexville. The City of Hope Cancer Treatment Center coming to Rexville will be worth its weight in gold though.